MIAMI (December 4, 2017) – Top-rated heavyweight title contender Luis “King Kong’’ Ortiz will take on Daniel “The Mountain” Martz in an added 10-round featured bout on a special Friday night edition of Premier Boxing Champions TOE-TO-TOE TUESDAYS on FS1 and BOXEO DE CAMPEONES on FOX Deportes at Hialeah Park in Miami, Florida on Dec. 8. The main event of the card features Ahmed Elbiali taking on former world champion Jean Pascal in a 10-round light heavyweight bout. Televised coverage of the 2-1/2 hour show begins at 9 p.m. ET/6 p.m. PT with a battle between unbeaten featherweight prospects Stephen Fulton (11-0, 5 KOs) and Adam Lopez (8-0, 3 KOs) and also features welterweight prospects Bryant Perrella (14-1, 13 KOs) and Alex Martin (13-2, 5 KOs) in undercard action. Ortiz is returning to the ring one week after the World Boxing Council lifted a sanction that it had imposed against the Cuban heavyweight contender in October. Ortiz was pulled from a match against world champion Deontay Wilder scheduled for Nov. 4, after Ortiz failed a Voluntary Anti-Doping Association drug test. Last week the WBC ruled that Ortiz had failed to disclose two medications that he was taking, which triggered his positive test. He was fined $25,000 for failing to make the disclosure, and re-instated into the organization’s rankings. That cleared the way for Ortiz to return to the ring, and he will waste no time doing so with a match that he hopes will help propel him toward another world title shot in 2018. The 38-year-old Ortiz (27-0, 23 KOs), of Camaguey, Cuba now resides in Miami, Fla., and will be fighting Martz in a 10-round bout in front of his adopted hometown crowd. The hard-hitting southpaw turned pro seven years ago after defecting from Cuba and has since been steadily climbing the heavyweight ladder. He cemented his standing in the division with victories over veteran contenders Bryant Jennings, Tony Thompson and Malik Scott and is currently ranked No. 3 by the WBC. Ortiz hasn’t fought in almost a year, having scored a technical knockout victory over David Allen at Manchester Arena in England on Dec. 10, 2016 in his last fight. 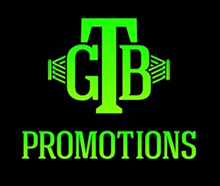 Ortiz-Martz replaces the Chad Dawson-Edwin Rodriguez light heavyweight bout on the card. The match was cancelled after Dawson suffered an injury in training camp. The 27-year-old Martz (16-5-1, 13 KOs), a 6-foot-7 heavyweight from Clarksburg, West Virginia, has taken on world champion Joseph Parker and contender Bryant Jennings during his five-year professional career. He is coming off a second round technical knockout victory over Tim Washington on Nov. 17.